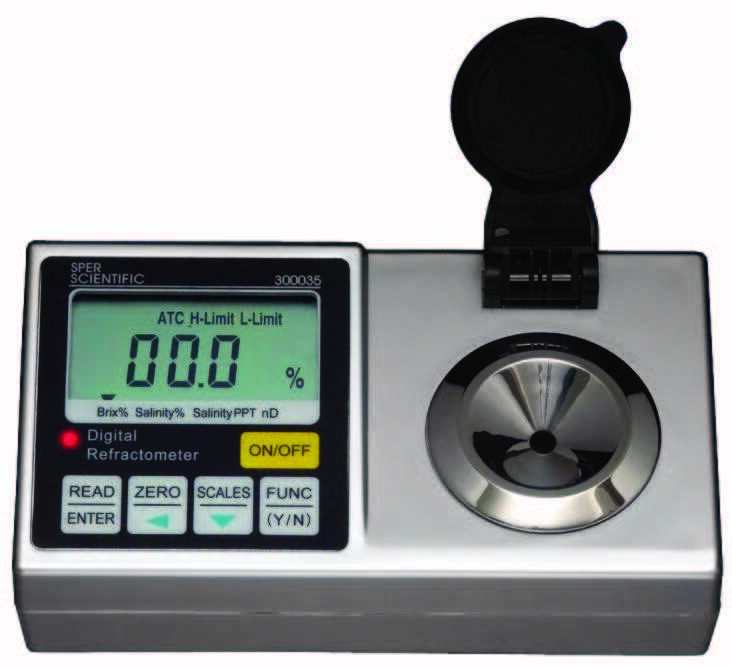 This programmable refractometer comes pre-loaded with the commonly used Brix (0 ~ 95%) and nD (refractive index) scales. In addition, you may create your own custom scales. An unlimited number of scales can be stored in the software’s database. 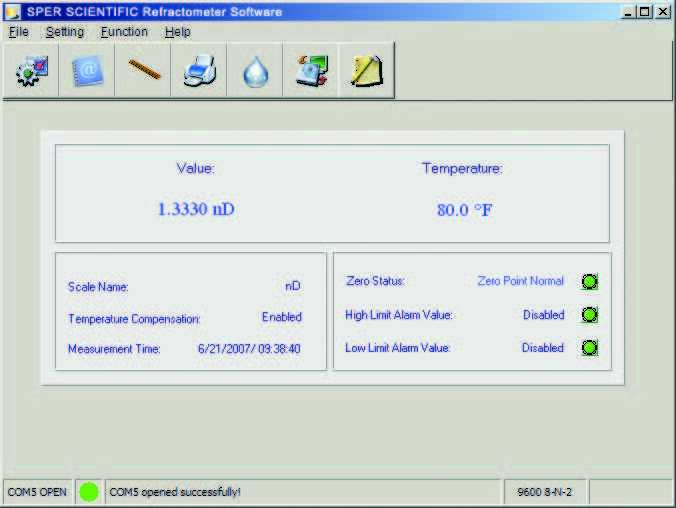 Transfer these from your computer to the three numbered display positions on the Programmable Refractometer using the built-in RS232 computer interface. 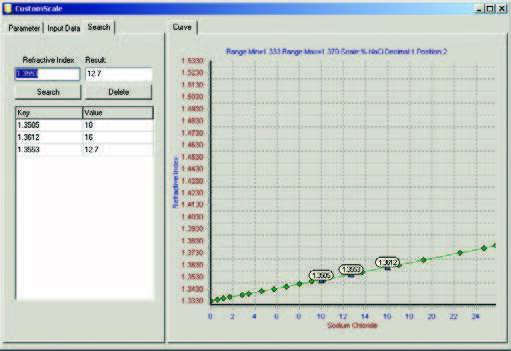 Scales can be loaded and unloaded from your database to your refractometer at any time. with full scale accuracy of 0.2% using CCD scanner (linear scanned array imaging) technology. and visual alarms are indicated by a red LED. dim: 7" × 4" × 2½" (180 × 100 × 65 mm). weight: 18 oz (500 g).